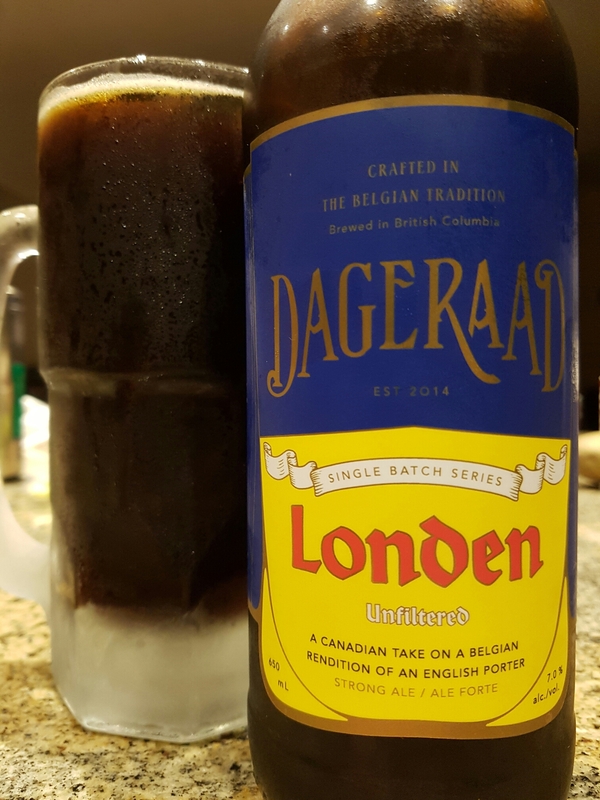 Londen (Belgian-Style English Porter) – Dageraad Brewing (Burnaby, BC, Canada) | Justintoxicated. Visual: Pours slightly cloudy very dark brown with minimal head, island and ringed retention, lots of small bubble singular streams. 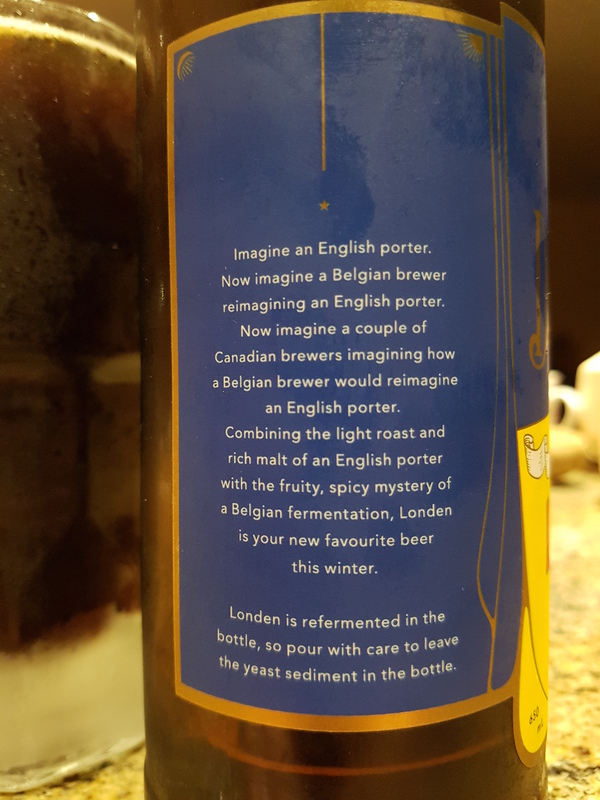 Finish: slight tangy, light sweet roast exhale, subtle bitter hops. Summary: Big sweet balanced roasty malt body with some root beer spices, good potency whilst still retaining a nice drinkability. Great with beer snacks.